Since this is a very long post, I am breaking it into 2 parts. I will be describing one method in detail in the 2 posts. In this post I am going to talk about reselling. First let me explain how a traditional solo ad program works so you can understand why you might want to consider an alternative tactic. It is not uncommon for website owners to search out cost-effective ways to send traffic to their websites. One of the most cost-effective methods for generating traffic is a solo ad. A solo ad seller is someone who has built a large email list. They will rent out their list to website owners by sending a guaranteed minimum number of users to a website. These users are referred to as “clicks.” They will sell solo ads in multiple of clicks like a 100 click solo ad. Ever time a solo ad seller sends out an email to drive traffic to the buyer’s website, they will see people unsubscribe from their email list. As a result the solo ad seller has to constantly add new subscribers to their list to replace those that unsubscribe. This never-ending process of adding new subscribers to replace people who unsubscribe is why the solo ad business is referred to as “churn and burn”. If you want to read more about how I built my list for solo ads then check out my post how I got my first 100 solo ad subscribers in 2 days. I also have a post on how to add new subscribers to your solo ad list using click banking. It can take a bit of time and a serious amount of money to build your solo ad list. If you don’t have time or the money to build a list, then you can start selling solo ads by becoming a reseller. Someone that has a very, very large list will sell clicks at a set price. You can then turnaround and sell those clicks at a higher price. The difference is your profit. Reselling is one of the fastest way to enter the solo ad business without having your own list. UPDATE: As you can tell from this initial report, I started out with a good experience with Solo Master Pro. Over time that experience dissipated rapidly forcing me to write a follow up review of Solo Master Pro which you read here. For that reason I no longer use Solo Master Pro. I recommend that you read both posts and then determine whether or not you want to use them. I recently joined Solo Master Pro and started to sell solo ads. 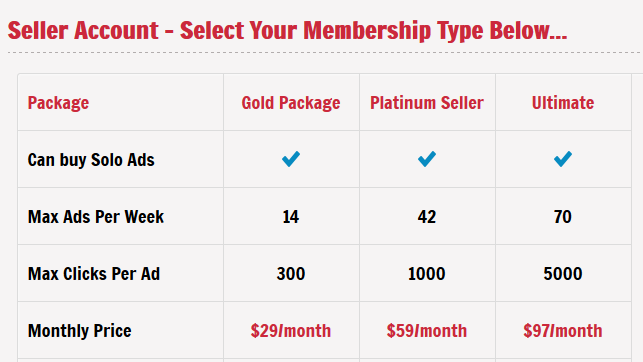 Solo Master Pro offers 3 levels of membership as you can see in the image below. I joined at the Pro level. At this level you are given 300 free clicks each month. I sold my 300 free clicks at a price of $42 per 100 click solo ad. I pocketed $126 from my free clicks. The free clicks covered my monthly membership cost plus put $31 in my pocket. I am currently selling solo ads from my website. This is a very effective method of selling solo ads because there is no cost associated with selling solo ads from my website. I joined Solo Checker at the Gold level. The profits from the sale of my 300 free clicks from Solo Master Pro covered my monthly membership cost as well as my monthly Solo Checker cost. I absolutely love Solo Checker because I can place ads with them and get sales with absolutely no effort on my part. Another place to sell Solo Ads is the Warrior Forum Classified Ads section. The challenge with this method is that your post can easily slip off the home page onto page 2 or 3 or worse. Most people looking to buy a solo ad will pick something from the home page so if you are not on the home page then you lost a sale. There are more Facebook groups than you can ever join. Most groups limit you to posting once per day. You can post that you are selling solo ads once a day in over a dozen different groups. People will see your ad and chose to buy from you. You will need to have the discipline of posting once a day. Skype groups operate the same way as Facebook groups. You join the group and post daily that you are selling solo ads. People see your post and buy your solo ad. The biggest benefit of being a reseller is it allows you to enter the solo ad business without having to invest the money and time to build your own list. Most solo ad sellers get 1% to 2% clicks from their list. To sell a 100 click solo ad then you need at least 10,000 subscriber list. It could cost you upwards of $5,000 dollars or more to build a list of this size. In exchange you can sell 100 click solo ads for $42. If you sold one ad a day, it would take you 120 days (4 months) just to break even on your initial investment to build your list. On the other hand I could be a reseller and earn $7 profit on each solo ad that I sale. During the same 120 days I would have made $840. Would you rather have a profit after four months or just be breaking even? You can sign up as a reseller for Solo Master Pro today and be approved tomorrow. You could start promoting your solo ads immediately on your own website, Solo Checker, Warrior Forum, Facebook Groups and Skype Groups. I signed up for Solo Master Pro after work. I went to bed and when I woke up the next morning I was approved. I immediately applied for membership at Solo Checker and posted ads for my solo ads. The next morning I woke up to an email saying I had made my first sale on Solo Checker. It took 72 hours from the time I signed up with Solo Master Pro until I made my first sale. I actually made four sales in my first four days with Solo Checker. With solo ads you will never reach a point where you build a list and you can just kick back and make money by sending emails to that list every day. The reality is every time you send out an email then you will lose subscribers. It is just the nature of the beast with solo ads. Read my post about 5 things you need to know about solo ads to get a real perspective on what it takes to add new subscribers to your list and the cost involved. You can also read about my results and lessons learned from solo ads. Just like anything else in life, the more effort you put into your reseller business the better your profit potential. As I mentioned earlier you are given 300 clicks free each month with Solo Master Pro. I sell mine at $42 for a 100 click solo ad. By selling 3 solo ads at $42 each, I earn $126. I pay $95 for my monthly Solo Master Pro membership and $29 for my Solo Checker membership. My 300 free clicks each month pays for my Solo Master Pro membership and my Solo Checker membership and leaves me with $2 in profit. The most common size solo ad sold is 100 clicks. You can sell your solo ads at any price but I have chosen to sell mine at $42. I buy the solo ad from Solo Master Pro for $35. That leaves me with $7 profit for every 100 click solo ad sold. If I sold just one 100 click solo ad a day, in one month I will make $7 x 30 day = $210 profit each month. There are groups on Facebook and Skype that cater to those people who can deliver a minimum of 500 or 1,000 clicks in a solo ad. By advertising in these groups you can double your monthly profits by selling just one 1,000 click solo ad per week. With a 1,000 click solo ad you can earn $70 in profits. By selling just one of these per week you would earn $70 x 4 weeks = $280 profit in a month. Combine selling one 100 clicks solo ad per day with one 1,000 click solo ad per week you could earn $490 profit per month. The amount of profit that you can earn each month is determined by how much effort you put into selling your solo ads. With the Gold membership plan on Solo Checker you are limited to selling only 300 clicks per day. If you hustle you could potentially sell 3 x 100 click solo ads daily. To get started today with solo ads without a list become a reseller. Click here to sign up with Solo Master Pro reseller program. I would highly recommend also signing up with Solo Checker. The next step is to set the price that you plan on selling your solo ads. The difference between your selling price and $35 will be your profit. I chose $42 but you could sell your solo ads for more or for less. Start promoting your solo ads and make sales. At the end of the month collect a check for your profits. Also don’t forget to check out my recent post where 11 highly successful solo ad sellers share their one best tip on solo ads. Hey Jennifer, just wanted to thank you as this is a really nice and definitely realistic review of my SoloMasterPro program. When I created SoloMasterPro I kept thinking of lots of smaller solo sellers taking advantage of it and thereby not constantly losing solo buyers to the big(er) guys. It starts off small, but because we’re giving you a way to pretty make an instant profit with your member clicks, just as you explained, a $33 daily profit (which is pretty easily doable within a few days of getting started) adds up to making $1,000/month in online income. Now you’re in business!!! Thanks for stopping by. I agree that this program has the potential of allowing anyone to enter into the solo ad business. It is a great way to add monthly income. My wife and I read through your other posts this weekend and I truly appreciate what you went through and how you documented every step of the way.you did it, Jennifer. I might have someone who can possibly help you take things to the next next level (will catch you on FB for that). Anything else I can do to help, please let me know. Thanks again!!! Wow, that is an amazing success story. It gives hope to others because they see what is possible with solo ads. Glad you guys were able to read my posts. This is “My Internet Marketing Journey” and I share it with everyone so they can see my successes as well as my failures. Always interested in guidance that will get me out of the ratrace. I’m a newbie to solo ads, SoloMasterPro and SoloChecker. As a reseller, do I get buyers through ads on SoloChecker, get paid first, and then go to SoloMasterPro to buy my solo ads? How is the email/swipe sent from buyer to me and then from me to SoloMasterPro? Is it by email or a faster way? Do I need testimonials to start? Also, can I buy solos on SoloChecker and then resell them to other buyers on SoloChecker, register as both a buyer and seller? I apologize for all the questions, but I can’t seem to get any details about how these sites work prior to registering with them. One comment, doesn’t 50% tier 1 traffic seem to be very low for SoloMasterPro? Don’t we need 70% and above? I do wonder, what is average top-tier % of clicks when resold from solo master pro? and what were the usual opt-in rates for the customers/you? as for reselling unknown/never-tried source it’s a bit scary, but the whole concept is great and worth to try. I run the tracking link through my QCC software. From my records it shows the top tier clicks being above 50%. Glad you enjoyed my website. It is not unusual to find “white label” products out there. It is similar to going into Sam’s Club and buying their branded bottle of ketchup. Yes you do get ketchup but you also have to realize that Sam’s club did not create that bottle of ketchup even though their name is on it. White label products are prevalent everywhere but not as prevelant when it comes to solo ads. Jennifer, thank you for all the valuable information. This is exactly what I need to contemplate getting into the solo ad business. What’s the average first tier traffic from Solo Masters Pro? I’ve been looking for more information about Solo Master Pro as well. I do see from an earlier comment about the tier 1 being over 50%. I would also like to know though how fast these clicks are delivered and what % of optins people are seeing from these clicks. There really isn’t much information out there about this service and I’m still skeptical as to how good the service is. What really catches my attention is that this is pretty much the only mention SMP has online. It is less than 50%. yeah I would also like to know what kind of opt in rate you are getting from solo master pro..? Only the buyers would be able to answer that. Sellers do not have that information. I’m very interested in this concept, but like others here I think we need more data on the quality of the clicks (percentage top tier, average optin rate, buy rate, etc). The deafening silence in response to these questions is really worrying. You have to realize that the buyers would have the stats on optin rate for their squeeze page and who buys from their OTO page. Since I am not a buyer I cannot provide you with that information. Hello thanks for the great info, just had a quick question. When you sign up as a reseller and you get the free clicks does that mean you can just give them a url to send clicks to? Or do they give you a list up to 100 free clicks? Just a little confused as how to the reselling works, whether i just use solo master pro to arbitrage clicks or if im given a list myself to give clicks out on. I am going to be doing an updated review of Solo Master Pro and it is not going to be positive. So if you haven’t signed up yet, wait until you read my updated review. To answer your question, you give SMP a URL of where you want the clicks to be sent. This is your buyer’s squeeze page. For the free 100 clicks you can sell a single solo ad for say $35. You pocket that $35 and then have SMP send the 100 clicks to your buyer. That free 100 clicks that you sold paid for your monthly subscription to SMP. You will have a dashboard when you sign up with SMP. When you sell a solo ad then you put in the buyer’s URL in your dashboard and SMP sends the clicks. Let me give you a quick overview of how solo ads work. You sell a solo ad. The buyer will give you the url of where you are to send the clicks. That url points to the buyer’s squeeze page. You go to SMP and put in the url you got from your buyer and they will send the clicks to your buyer. Check out all most posts about solo ads because it provides you with a wealth of information. You need to check out my recent post on solo master pro. Hint – it is not a positive review. Read that and I guarantee you that it will prevent you from wasting your time. Ok…I give up! Where is “[your] most recent solo master pro” post? Just wanted to thank you for your info on solo ads. Definitely helpful. I just want to clarify…u do not need your own list to be a seller at solochecker? If you are selling solo ads then you will need a list to send to in order to complete the sell. You can either do this by having your own list or by being a reseller of somebody else’s list. Jennifer great blog! great content and explanation! I am in the same quest you are: reselling solo ads. Hope you can write me back! I got your email and will respond to you today. Sorry for the delay. I love to copy paste your method (reseller solo ads) but since you are not into solo master pro, which company do you use to get the reseller? If you read my updated review on Solo Master Pro you will see that I am using other solo ad sellers. I am selling at my price but then buying from them at a lower price. I can resume that I can buy solo ads from solochecker and resell what I buy back to solochecker, with margins? That is correct. Now go forth and make money. one more question: I saw 2 buttons at solochecker.com, to be a buyer and to be a seller. should I apply for both? and should I use different email addresses? You need to read more of my blog because I have many posts about solo ads. I’m a newbie to solo ads and SoloChecker. Can I buy solos on SoloChecker and then resell them to other buyers on SoloChecker, register as both a buyer and seller? Let me answer your questions. You will need to register as both a buyer and seller on solocehcker. It is free to register as a buyer but you have to pay monthly to register as a seller. You post ads for selling solo ads. When somebody buys from you then you can purchase a solo ad from another seller on solochecker and get them to send the traffic. You pocket the difference between your selling price and your buying price. The low level of tier1 traffice from solo master pro is one of the reasons I stopped using their service. Nice post…but i have a question. what if you have a list of subscribers apart from solo master pro and solo ad checker where you can send these solo ads to and get real and guaranteed clicks that is not actually yours, is it actually allowed in the business? You can email anything you want to your list of subscribers. i am considering entering the solo ads, and there is someone offering a trainign for 15K, he will provide everyhing, assemble everything and give me the first 300 subscribers. i find this extremely expensive even though is over a period of 5 months. what are your thoughs on that? can this be learn by anyone just by reading? I believe I have inquired about the same training program. I am going to let you answer your own question. Look at my Solo Ads Rolodex and see the cost per subscriber the compare it to the $50 cost per subscriber offered by this program. Then you can answer your own question. great. when can we start. I send other questions if you can send me the answer great. please call me at 954-732-6901 to discuss if possible. where do i sign up for that rolodex and your coaching. please let me know how long is the coaching, is it over skype? how long is it?, what will we cover? would I be able to start the business after the coaching? or this is over time? I will get back to you today. 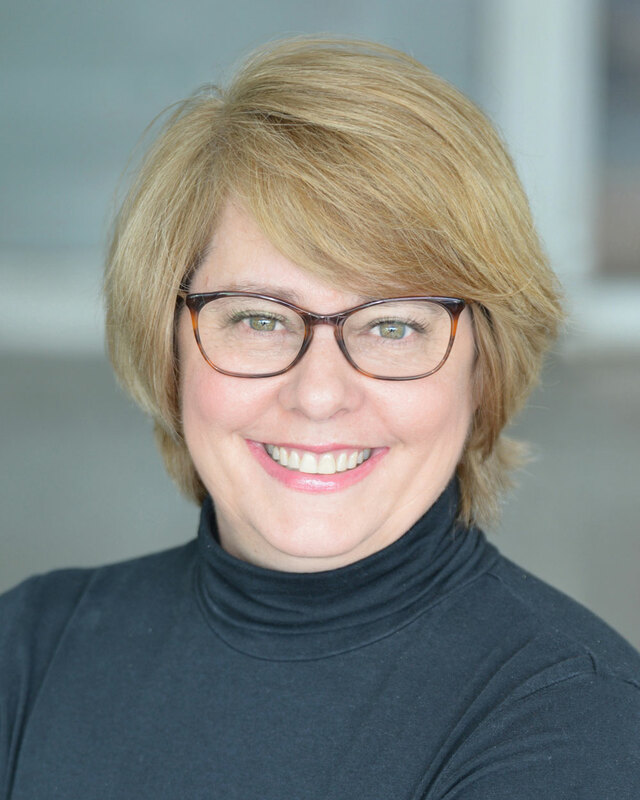 thanks for sharing some great tips on how to make money fast. I hadn’t heard of a few of these options so I appreciate your tips to help broaden my thinking about the different options available.